Porsche has launched the eighth generation of its iconic sports vehicle, the Porsche 911. The all-new car's internal designation is the 992 series (logically, it replaces the 991 variant, but as ever with the different generations of 911 it's confusing as the 991 replaced the 997.). The 2019 911's shape is quite familiar though there are a few styling changes. The new 911s make 30PS more than the outgoing models. The automaker says efficiency has been increased thanks to an improved injection process and a new layout for the turbochargers and charge air cooling system. Equipped with the 8-speed PDK dual clutch transmission as standard, the rear-wheel-drive 911 Carrera S Coupe needs just 3.5 seconds to reach 60 miles per hour from standstill, and the 911 Carrera 4S Coupe with all-wheel drive takes only 3.4 seconds. With the PDK, a Carrera S Coupe hits 60 miles per hour in just 3.5 seconds. That's shortened by a further 0.2 seconds with the optional Sport Chrono Package, which adds launch control, revised gearbox software and a "sport" function. Top speed for the S is set at 191mph (307km/h) and for the 4S at 190mph (305km/h). Despite the ever-increasing emission regulation pressure, the GT3 will maintain its naturally aspirated flat-six, which means owners will get to enjoy assets such as the linear power delivery, the instant throttle response and, of course, the majestic high-rpm soundtrack. Outside, the new Porsche 911 gets wider and more purposeful. Porsche Connect Plus is included as standard. Improvements include larger turbos, a new intercooler and new injectors. The 992 911 also has a longer bonnet with more angular leading edges and a defined indent through its middle section, along with rounder headlight units. The outer skin of the new 911 is made out of aluminum, apart from the front and rear ends. The door handles, for example, are now recessed: they power out when required. Classic elements like the comparatively upright windscreen and shape of the glasshouse are unchanged. It features a significantly wider body, with 4cm of extra metal across the nose and rear wheel arches, which are now the same width across all models and house 21-inch rear wheels. 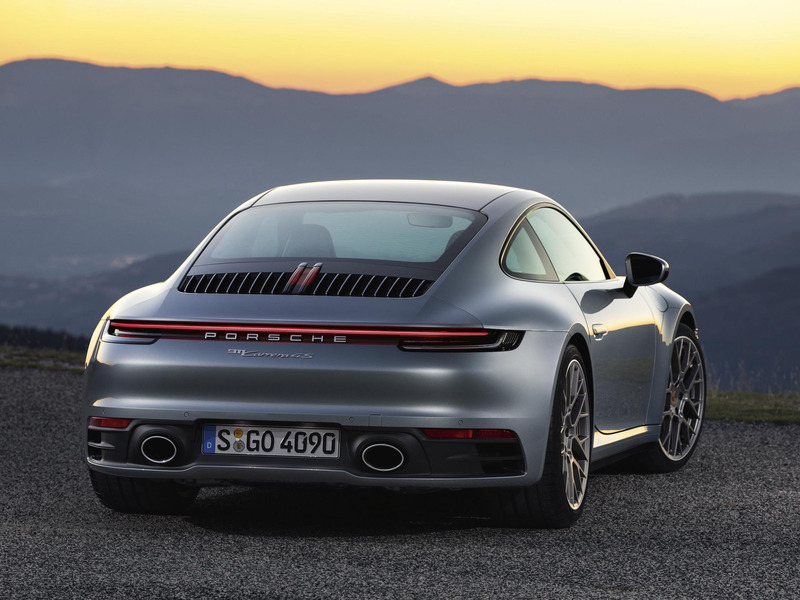 In the Canadian market, the 911 comprises 30 per cent of the premium sports auto segment, said Marc Ouayoun, CEO of Porsche Canada, and sales this year are up nearly 20 per cent compared to last year. The 2020 model debuted alongside a new app called Porsche 360 Plus; it's created to give Porsche drivers a more immersive experience with the vehicle. Other than this the usual suite of active safety features found in most modern cars like brake assist, adaptive cruise control option includes automatic distance control, stop-and-go function, reversible occupant protection and an autonomous Emergency Assist function, are available. Porsche has so far announced the specs of the Carrera S and Carrera 4S models only; these still use the turbocharged 3.0-liter flat-six engine, which now makes 23hp more than the outgoing model, at 443hp (450PS).